Early histories of shopping comprised celebratory histories of individual shops, and chronological accounts of retail progress (Adburgham). Recent studies have come from social, economic, and increasingly cultural history. They balance empirical and focused studies of shops and shopping with the more thematic agenda offered by consumption studies. A significant proportion of studies is devoted to shopping for clothes and related fashionable goods. This kind of shopping was associated with a particular set of shopping and retail practices. 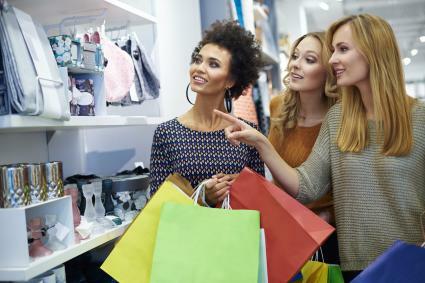 The popularity of shopping as a subject for research is linked to the meteoric rise of the topic of consumption within a multitude of different disciplines, including history, sociology, anthropology, cultural studies, psychology, and geography. This phenomenon has been connected to an increasing dissatisfaction with Marxist production-led explanations for historical trends. The way people shop has since been identified as a defining characteristic of historical and contemporary societies (Miller et al.). Early work in the field connected the birth of modern consumer culture with the new availability of mass-produced goods in the late eighteenth century (McKendrick et al.). Subsequent studies have given more significance to changes in shopping practices. The arrival of the department store in the late nineteenth century has been seen as a marker of modern consumer cultures (Bowlby, Rappaport), and postwar supermarkets and malls have been closely tied to understandings of contemporary consumer society (Bowlby, Campbell in Miller). The identification and definition of consumer identities has been an increasingly central component of shopping studies. Drawing on the semiotic theories of postmodernists such as Jean Baudrillard, consumer identities, and shopping types have often been appropriated for source material by a range of disciplines. These figures have been seen as the embodiment of contemporary attitudes to, and anxieties about, consumption, gender, class, ethnicity, modernity, and the urbanites. This approach has been criticized for obscuring the meaning of shopping itself within these identities, as Miller et al. express, "the shop-per … nearly always figures as a sign for something else." Within this work, shopping has been shown to be an important part of identity construction and performance, leading to the suggestion that within modern and post-modern consumer society, the self was the sum of consumption practices and goods bought. This idea of self-construction through shopping has been consistently promoted through store advertising, women's magazines, and other institutions of consumer culture. 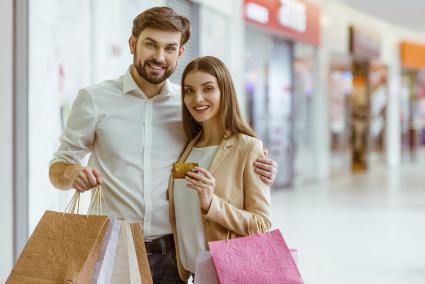 However, more specific studies have allowed shopping cultures and consumer identity to be mutually constitutive, ascribing more agency to the individual shopper, and the ability to negotiate different identities. There has been a particular emphasis on identity within studies of Victorian consumption. For example, the Victorian London's shopping district has been revealed as home to newly confident female shoppers who used shopping to stake a claim to the city (Rappaport). This focus signals the advent of modern consumer culture, in which shopping was recognized as a meaningful practice and the consumer the key protagonist. From this point on, shops can be seen to sell "image" in addition to actual commodities, an image that was bound up with modern consumer identities. During the twentieth century, the centrality of the shopper within retail theory and its histories grew, reflecting a heightened under-standing of how consumer psychology could be applied to marketing. By the late twentieth century, the consumer was acknowledged as a primary economic and cultural force in society. 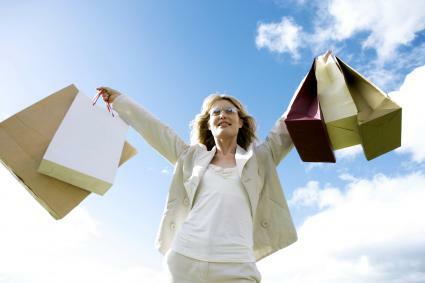 The study of the female shopper has dominated the field. This relates to the conceptualization of shopping as a strongly gendered practice by contemporaries as well as by many subsequent theorists. It has been presented as an essential component of the female domestic role, interpreted as a masculine seduction of the feminine through strategies of temptation and spectacle, and more recently as a more empowering, but essentially feminine, means of engaging with urban life. Bowlby summarizes this position: "The history of shopping is largely a history of women, who have overwhelmingly been the principal shoppers both in reality and in the multifarious representations of shopping" (Bowlby, p. 7). This gender imbalance has begun to be seriously addressed in the early twenty-first century. For example, Breward has identified significant groups of male shoppers in Victorian and Edwardian London, for whom shopping for clothes was an essential component of their fashionable urban identities. Past studies of the shopper have often overlooked the centrality of the fashionable commodities themselves, which newer work has sought to address. It is the focus of consumers' attention on the goods in the window, and on the activity of shopping, that distinguishes them from other actors in the urban scene; the flaneur, the tourist, the prostitute. This approach allows an understanding of the role of shopping within the identity of clothes. It acknowledges the significance of garments' nature as "searched for" and "bought." Specificity of time and place are important to an under-standing of shopping. Particular retail formats, each with their characteristic architecture, planning, and shopping practices, have been considered emblematic of social trends within studies of consumption. Miller et al. relate how during the late 1980s and early 1990s the story of modern consumption coincided with a particular genealogy of the shop; "an accepted natural history of consumption took shape which, identifying consumption as a key characteristic of modernity, described an arc from the arcades and department stores of Paris through to the shopping malls of the United States." Of course, shopping for clothes did not begin with the birth of modern consumer cultures. There is an older tradition of shopping, which includes drapers, tailors, and markets. The beginnings of a new approach to shop design and shopping, which emphasized luxury, spectacle, and leisure, have been identified in the seventeenth-and eighteenth-century shopping gallery, for example London's Westminster Hall, and the nineteenth-century arcade, such as the Burlington Arcade adjoining Piccadilly (Walsh in Benson and Ugolini). The huge department stores of the late nineteenth century exploited these characteristics to the full. Drawing on the model of the Parisian Bon Marché, they styled themselves as "universal providers" and offered a range of additional services from hairdressing to libraries, but drapery and ready-made garments formed a central part of their trade. The department store has been associated with the advent of modern consumer cultures, the democratization of "luxury" consumer goods, and the prominence of display. It has also been linked to the broader themes of the growth of the middle classes, urbanization, and shifts in gender definitions (Bowlby, Rappaport). The first half of the twentieth century witnessed the development of "multiples" or chain stores, which catered especially to the growing group of lower-middle-class consumers. In Britain, Marks & Spencer, C&A, and the Coop were especially important for women's and children's wear, while multiple tailors, such as Montague Burton, targeted men (Winship in Jackson et al.). There were also more exclusive multiples such as Austin Reed menswear and Russell and Bromley shoes. The shops constituted clearly identifiable brands, through their architecture, interior design, advertising, as well as merchandise. While frequently establishing a flagship on the principal urban thoroughfares, multiples have largely been associated with the suburban and provincial high street. The story of postwar shopping has been dominated by the development of the "shopping center" and mall, burgeoning in the interwar United States, and spreading to Europe during the 1960s (Longstreth). They have been studied intensively, and have often been interpreted as an articulation of postmodern society (Campbell in Miller). The new format was purpose-built and often privately regulated, usually enveloping both shops and a shopping street for pedestrians within a single building. Some have been located within city and town centers, replicating some of the characteristics of the department store. But they have been mainly associated with the urban fringe, dependent for business on increased levels of car ownership. A typical example in the United Kingdom is Meadow Hall, near Sheffield. Although very successful, these new shopping environments did not destroy the cultural and economic importance of the traditional high street. An associated late twentieth-century development is the retail park: a series of shopping warehouses located out of town. This period additionally saw the expansion of the big supermarkets into clothing. Their marketing has emphasized value, with the controversial provision of cut-price designer jeans, and attempts have been made to secure the services of established designers, for example George at Asda in the United Kingdom. This era has also been characterized by the internationalization of retailing. On one hand, powerful controlling interests such as Wal-Mart have developed as a result of construction of new stores. On the other, multiples such as the Gap have opened outlets in shopping thoroughfares throughout the world. 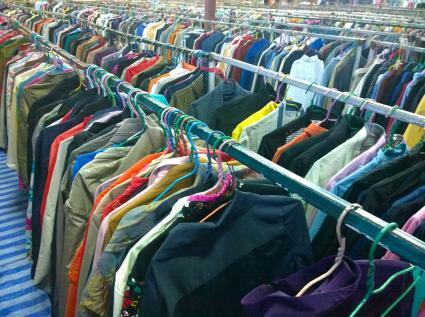 Alongside these sites of consumption, secondhand clothing continued to be an important part of shopping practices. Its retail venues shifted format and location within shopping networks over time, and were historically associated with a succession of different immigrant communities, working from street markets. From the latter part of the twentieth century, buying secondhand has flourished within the charity shop, retro-clothing specialists, market stalls, and flea markets. However, shopping has not exclusively been tied to physically located retail sites. Mail order allowed shopping to take place from the home. Sears, Roebuck and Co. spearheaded mail order in the United States, with companies such as Freemans and Kays important in the United Kingdom. It proved consistently popular throughout the nineteenth and twentieth centuries, often linked to credit schemes and to companies with associated retail outlets, such as the United Kingdom's "Next Directory." From the end of the twentieth century, the potential of mail-order shopping expanded exponentially with the arrival of Internet shopping, potentially posing a more serious challenge to the future viability of the traditional shop, although retail clothing stores has been less seriously affected than other sectors. There has been an unwillingness to study shopping cultures, which were not essentially novel, however, a more integrated understanding of shopping can be gained by studying the established and declining models alongside new ones. This approach better reflects the landscape of different shops, configured in particular ways within a single main street, a shopping route, or an individual's shopping trip. It also relates more closely to the clothing bought by shoppers; within a single wardrobe a chain-store shirt hangs next to a secondhand jacket quite unproblematically, although their owner remains aware of the provenance of each. See also Boutique; Department Store; Mannequins; Window Displays. Adburgham, Alison. Shops and Shopping. London: Allen and Unwin, 1964. Benson, John, and Laura Ugolini, eds. A Nation of Shopkeepers: Five Centuries of British Retailing. London: I. B. Taurus, 2003. Bowlby, Rachel. Carried Away: The Invention of Modern Shopping. London: Faber and Faber, 2000. Breward, Christopher. The Hidden Consumer: Masculinities, Fashion and City Life, 1860-1914. Manchester and New York: Manchester University Press, 1999. Crossick, Geoffrey and Serge Jaumain, eds. Cathedrals of Consumption: The European Department Store. Aldershot, U.K.: Ashgate, 1999. Jackson, Peter, Michelle Lowe, Daniel Miller, and Frank Mort. Commercial Cultures: Economies, Practices, Spaces. Oxford and New York: Berg, 2000. Longstreth, Richard. City Center to Regional Mall: Architecture, the Automobile, and Retailing in Los Angeles, 1920-1950. Cambridge, Mass. : MIT, 1997. McKendrick, N., J. Brewer, and J. H. Plumb. The Birth of Consumer Society. London: Europa, 1982. Miller, Daniel, ed. Acknowledging Consumption: A Review of New Studies. London: Routledge, 1995. Miller, Daniel, et al. Shopping, Place and Identity. London: Rout-ledge, 1998. Poster, Mark, ed. Jean Baudrillard: Selected Writings. Oxford: Polity Press, 1988. Rappaport, Erika. Shopping for Pleasure: Women and the Making of London's West End. Princeton, N.J.: Princeton University Press, 2000. Somake, Ellis E. and Rolf Hellberg. Shops and Stores Today: Their Design, Planning and Organisation. London: B. T. Batsford, Ltd., 1956.